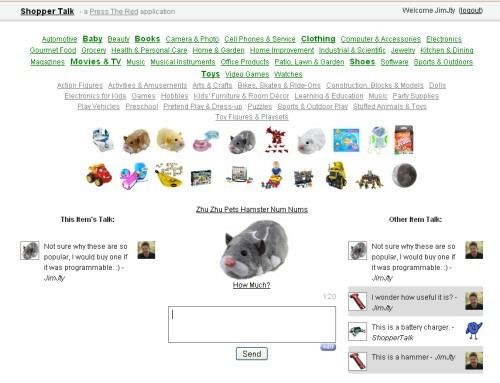 ShopperTalk is an experiment with shopping and Twitter, or social shopping. Browse the catalog to find an item that interests you, make a comment and track what others think about. Like I said, It is an experiment but I do have plans for future improvements. I’d love to hear your comments.